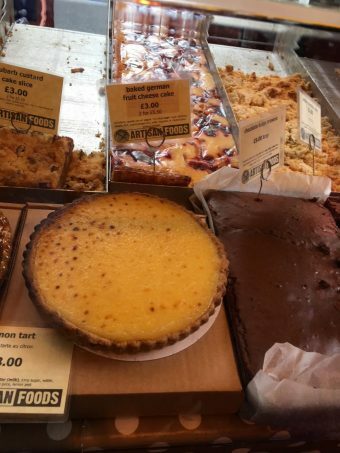 This post is for when you’re in London, you feel peckish and you miss German or Austrian food. I’ve been looking at places where you can buy foods which might be hard to find anywhere else in the UK. 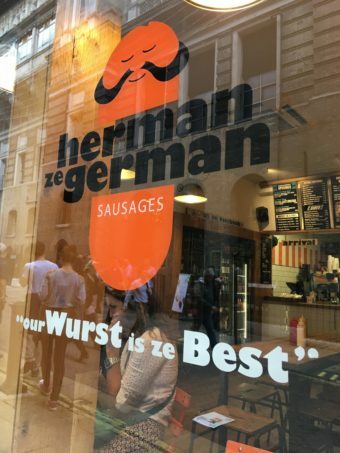 I know of two places in London where you can buy genuine German sausages straight from the grill: The German Deli (germandeli.co.uk) at Borough Market, and the brilliantly named Herman ze German (hermanzegerman.com) on Villiers Street, near Embankment tube station. Herman ze German also have branches in Soho and Fitzrovia. Their sausages are made in the Black Forest, so they say on their website “Whenever you see a Herman, you know you’re getting proper German”. As I’m not a fan of sausages, I haven’t tried any of these, but they look good. My daughter and/or husband will enjoy testing them next time we’re in the area. I do love the pun in the window of Herman ze German: “Our wurst is ze best”. They can provide lists of ingredients for all their sausages and they’re free range with no additives and no cheap cuts. I noticed that Schnitzel is also on the menu, my daughter’s favourite. 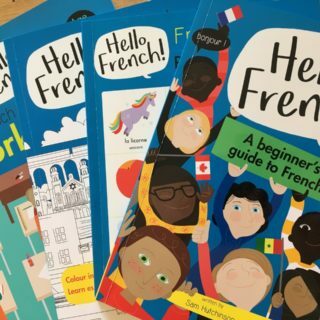 It’s easy to order these online, and get them delivered anywhere in the UK. You can order German grocery items, baking ingredients, meats, bread and cake online from The German Deli website germandeli.co.uk. It has a cute “sausage dog” logo in the colours of the German flag. My eyes were drawn to their vast choice of Ritter Sport chocolate, bigger than we get in our local shops. Ritter Sport have designed their chocolate in a square so it fits inside everyone’s pocket. The special snap-open (“Knick”) pack makes it so easy to open that half of it will be gone before you know it. In my case this is especially likely if it’s the yogurt one. 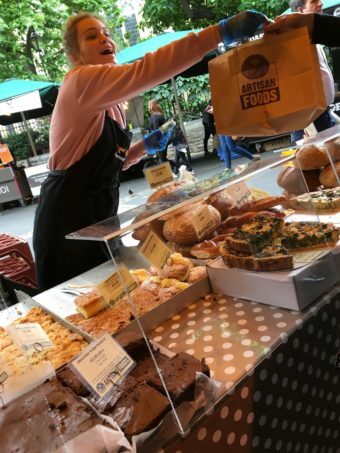 When it comes to traditional German cake, Artisan Foods at Borough Market (artisanfoods.co.uk) sell several types made to traditional German recipes. 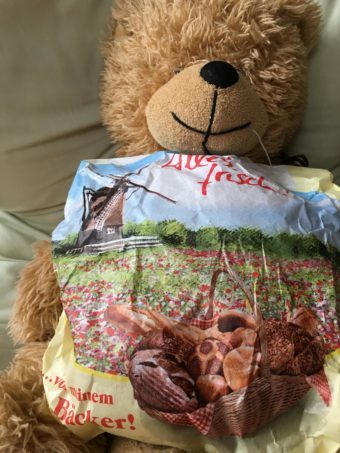 When we visited recently they had Bienenstich. This is literally “bee’s sting” – fresh brioche cake with vanilla custard filling and a thin honey and flaked almond topping. 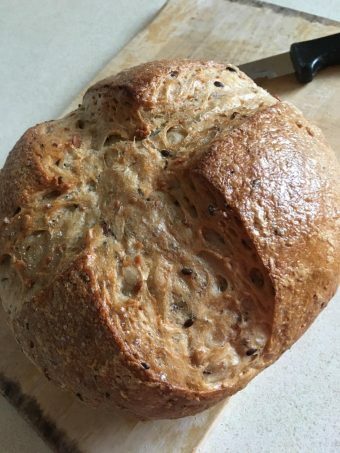 It’s delicious – and in my experience quite hard to get the texture right if you make it at home. 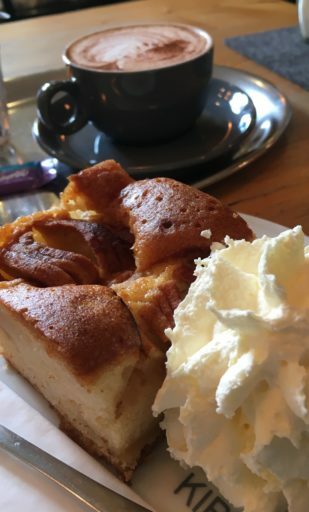 Also on offer were Käsekuchen (cheesecake, often with fruit in the mixture), Apfelstreusel (apple crumble cake) and Rhabarberkuchen (rhubarb custard cake). The Apfelstreusel we bought was yummy, as was the super-fresh multiseed bread. There are some great greengrocer stalls on Borough Market and we were happy to find fresh blackcurrants, a rarity in the UK. 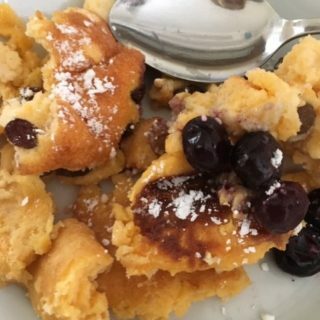 Delicious cooked very gently until the skins start to burst, then mixed with a little honey and added to some plain yogurt and/or whipped cream. Or use them to make crumble or Johannisbeertorte (blackcurrant gateau). 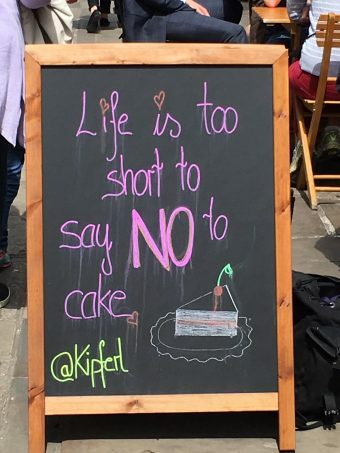 If you want to pretend you’re having traditional “Kaffee und Kuchen” in Austria, you could try Kipferl (kipferl.co.uk) in Camden Passage. There’s also a branch in Ladbroke Grove. It’s based on the idea of a Viennese coffee house. Kipferl was full one Sunday lunchtime, but I managed to get a place later in the afternoon, after I’d explored the quirky local shops. It turned out to be a good place to wait for my daughter while she was on a dance course. Her dance courses have certainly upped my intake of cappuccinos. Apart from enjoying the immaculately presented Kaffee und Kuchen, you can pretend you’re in Austria choosing from Kipferl’s typical lunch menu, with a dog sitting quietly under a neighbouring table, and even German directions to the loos. 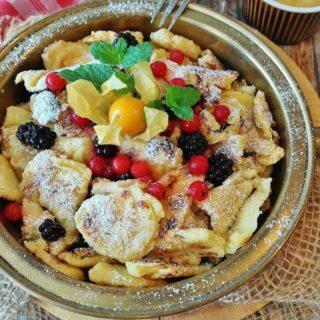 Kipferl cakes include the traditional Apfelstrudel, Sachertorte (special Viennese chocolate cake) and Topfentorte (cheesecake). You can buy whole cakes to take away but it’s best to order two days in advance to make sure they have what you want. All cakes are handmade individually, from high quality fresh ingredients. 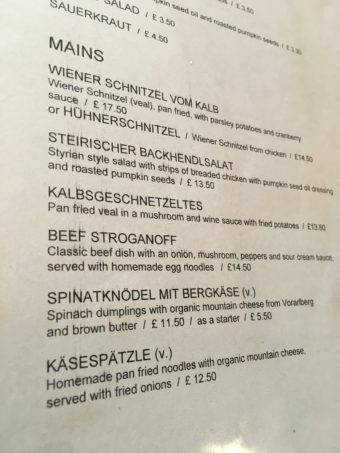 Has anyone any more tips about where to get German or Austrian food in London, or elsewhere in the UK? Hallo. This was a wonderful find for an Austrian gal like me, especially as I’ve just come back from Vienna with suitcases stuffed full of my Austrian food. 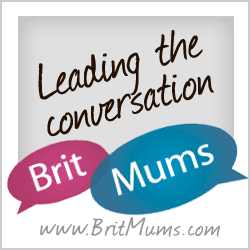 An additional information to your blog. I found some traditional tasting frankfurters at Waitrose. Just as knackig!!!!! I’m so glad it’s useful to you, Anita! 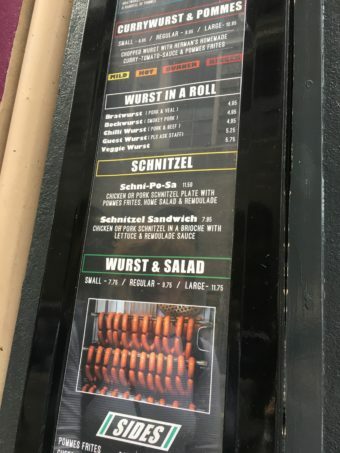 Thanks for the info about the frankfurters. Please pass on any new discoveries. I’m about to post a piece about the language of Austrian cuisine.